What You Wish Wednesday again! Link up at the bottom of the post! Another week of fun and games with the 15 month little. We really spend the majority of our time reading, doing puzzles, and doing pretend play. She also really likes taking time to play independently. 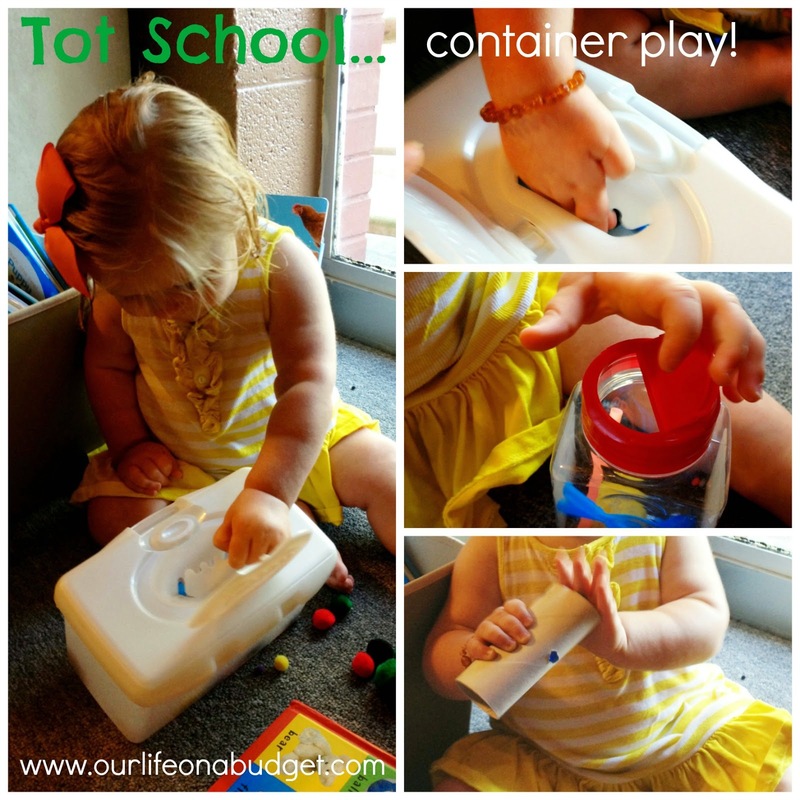 This week the main "activity" we did was container play. First, I found an old spice container that she could open and close. I gave her some cut up some straws and pom-poms. She put the straws and pom-poms in, then turned them over to try to get them out. Sometime she could get them out and sometime I had to help her. I think it would be better to have a spice container with big holes instead of small ones. Then she could have tried to get the straws through those holes. We also put out an empty wipe container. She loved opening and closing it with the button on top. Then she would put the pom-pons and straws in. Lastly, I attempted the paint in bag on the wall… she had no interest what so ever. I guess once she tried to pull the tape off and get it off the window :) That about sums up our week. We are traveling this next week, so we will be laying off the planned activities. What are the plans with your little this week??? 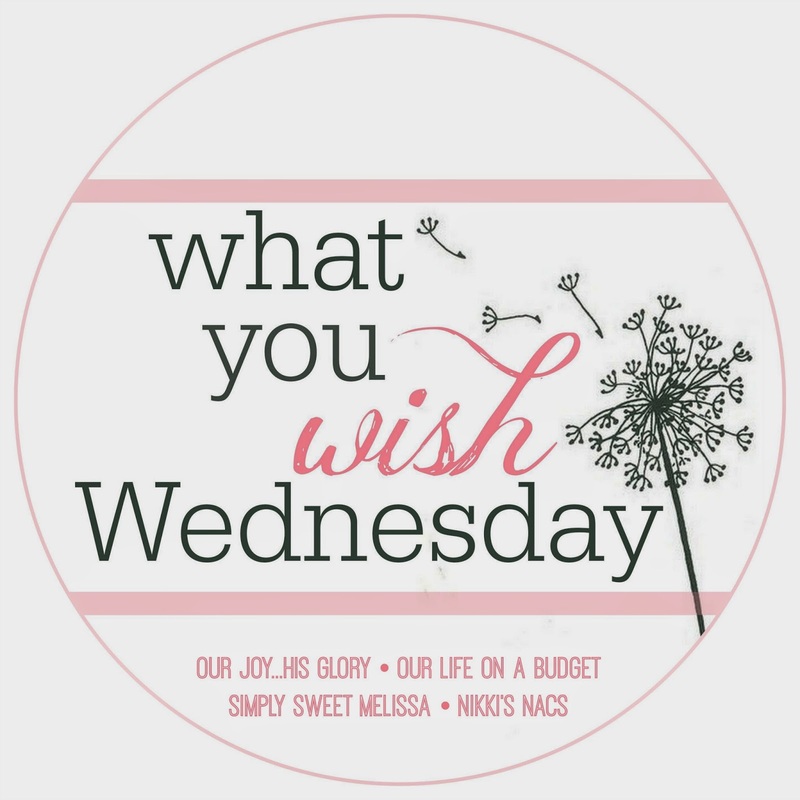 __________ So now it is time for you to link up up "What You Wish" Just grab a button to share on your blog! I look forward to reading your posts! Those are such wonderful ideas!!!! Thanks so much for sharing them. I'm pretty sure I audibly "Awww!!! "'d at that chubby belly dropping things down tubes. Oh my word. Haha… thanks, she is a "little" chunk!